This is a must attend event. SAVE THE DATES for this quintessential CBT conference. Held at the CityCube in Berlin. The Conference is still in its organizing phase. Sign up for the Conference MAILING LIST and receive regular updates, e-newsletters and notification of the opening of registration and submission of papers. In the face of adversity, even the strongest among us sometimes find it hard to stay resilient. Some people have never felt resilient. In this workshop, Padesky & Mooney teach a 4-step protocol to help clients build a personal model of resilience (PMR). Their protocol and model are easily integrated with classic CBT approaches and other evidence-based therapies. Drawing on the principles of Strengths-Based CBT (Padesky & Mooney, 2012), six key methods are highlighted: (1) how to identify and integrate strengths into CBT, (2) guided discovery approaches used to elicit a personal model of resilience, (3) the timing and rationale for therapeutic smiling, (4) use of imagery and metaphor, (5) the importance of silence for fostering client creativity, and (6) debriefing behavioral experiments through a resiliency lens. Clinical demonstrations, structured participant role plays, and question & answer segments clarify the theory, rationale, methods and application of a PMR. Common therapy pitfalls are identified along with recommended alternative approaches. Together, Drs. 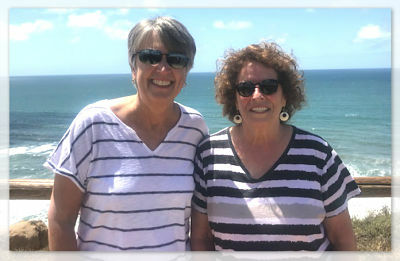 Padesky and Mooney co-developed Strengths-based CBT (CBT-SB) Their creative partnership is at the core of all their individual, joint and collaborative work projects since 1981. Participants are strongly encouraged to download and read Padesky & Mooney’s 2012 article before attending the workshop. (CLICK HERE FOR PDF REPRINT). Greater familiarity with this material will foster increased depth of workshop learning (i.e., the more you know, the more you will learn). This strengths-based approach can be integrated within all forms of evidence-based psychotherapy practice. Just a few sessions is required to boost client awareness and practice of resilience. In addition, there is evidence from pilot research (Victor, Teismann, & Willutzki, 2017) that this 4-step model to build resilience can be used as a brief (3 session) independent intervention to build resilience, self-esteem and well-being and reduce the risk of psychopathology in nonclinical populations such as university students. Christine A. Padesky, Ph.D. is a licensed psychologist and internationally renowned CBT innovator appreciated for her ability to integrate theory, empiricism, creativity, and practical skills. She is an Honorary Fellow of the BABCP, a Distinguished Founding Fellow and recipient of the Aaron T. Beck Award from the Academy of Cognitive Therapy, and recipient of the Distinguished Contribution to Psychology Award from the California Psychological Association. In 2002, BABCP members voted her “Most Influential International CBT Therapist” and named her book, Mind Over Mood (Greenberger & Padesky), the most influential CBT book of all time. 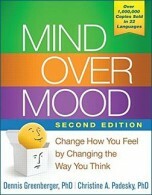 The second edition of Mind Over Mood (2016) won 2nd place in the American Journal of Nursing Book of the Year Award, consumer health category. Kathleen A. Mooney, Ph.D. is a licensed psychologist and, with Dr. Padesky, co-founded the Center for Cognitive Therapy in Huntington Beach, California (USA) and co-developed all of Dr. Padesky’s workshops over the past 35 years. She has taught CBT workshops in nine countries on topics as diverse as anxiety, personality disorders, therapist beliefs, creativity, and resilience. She co-produces audio and video CBT training materials for mental health professionals and designs and manages three web sites, two exclusively for mental health professionals (www.Padesky.com, Store.Padesky.com) and one for the general public (www.MindOverMood.com). She is a Diplomate and Founding Fellow of the Academy of Cognitive Therapy.